Originally accompanying the Languages volume of the Handbook of North American Indians series, this indispensable map is now widely available for the first time. It shows the locations and distribution of the known languages spoken by Native peoples across North America at the time of first contact. Each language is grouped and color-coded according to family. An accompanying text provides background information about the distribution and classification of the languages and also features a useful classification table of the languages and language families depicted. The map is available in two sizes. A portable storage sleeve makes the folded study map ideal for use in the classroom, on trips, or in the field. 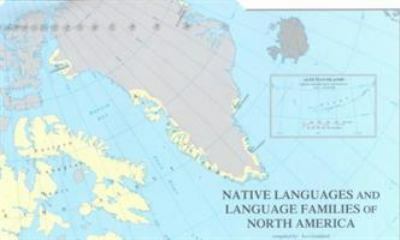 The wall display map is the first and only map large enough to show the location of every known Native North American language. Colorful, attractive, accurate, and up-to-date, these maps are an essential reference for anyone interested in the histories and cultures of the original inhabitants of North America.